This widget extends the functionality of INSTAR HD cameras. You can now easily the alarm about the Notification Center or your apple watch to enable or disable. A snapshot is thus immediately visible and is updated each time the Notification Center. 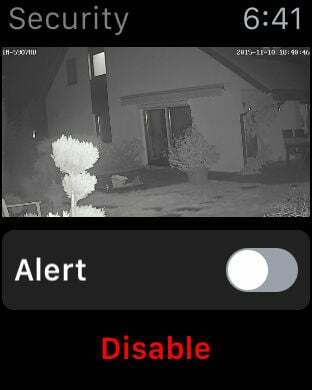 Keep your INSTAR camera control regardless of whether they are at home in the tub or on the road. All you need to you with the manufacturer itself. ("DDNS" address). A description in the App makes it easier to set up. Works only with Instar HD models. Unofficial app of mine for all INSTAR user. The use of brand names is solely to determine the basis of my app, since the app can only work with cameras of this manufacturer. For further questions or ideas, please use my support options.